Most who know him are aware that Daniel Edward Fitzgibbons has more than 25 years of technology and sales experience, and that he knows the business of computer storage systems. It is, after all, his business. He currently serves as Data Protection Business Manager for the Minneapolis, Minnesota office of EMC Corporation, a 37-year-old company that has grown into a very important international technology company, producing revenue of more than $24 billion so far in 2016 and employing more than 70,000 globally. As important as business is to him, family and community have also been important to Daniel Edward Fitzgibbons. He grew up in Fargo, North Dakota, where he was the youngest of five children and where he attended grade school and high school. He also has a significant educational background, including a Bachelor of Science in Marketing and Business Administration from Moorhead State University just over the border in Minnesota. 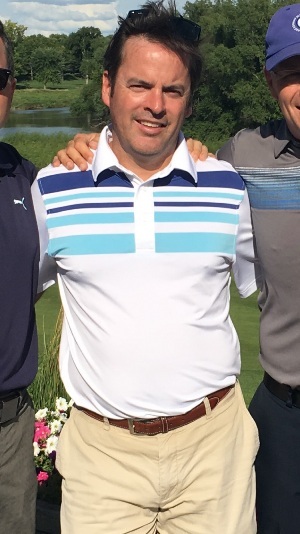 Eventually, Daniel Edward Fitzgibbons moved to Minneapolis, to work with EMC, and he is now married and has two children, which is why he feels strongly about the Greater Minneapolis region and considers it his community, to the point that he tries to give back whenever he can. For instance, he helps the poor and homeless in the Twin Cities with his work with Bridging, which provides those transitioning out of homelessness with basic household items and he helps feed the hungry by working with Loaves and Fishes. That charity serves hundreds of thousands of hot, nutritious meals to the hungry annually.